Like nearly everything in life, I approached ALSC’s Day of Diversity as ritual. The invitation to co-facilitate one of the break-out sessions was the doorway in. The very early preparation began. Flights and hotel were booked. I worked with my co-facilitators, Roxana Barillas and Gretchen Caserotti to craft our session. 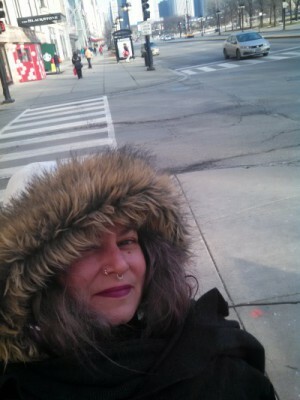 I borrowed a gorgeous coat and boots and a mighty red leather tote from a dear friend to weather winter in Chicago. I spoke to friends I would meet with there and looked up people I wanted to meet. I packed. With the basics taken care of I opened up to the next stage. The real journey. The one within. I felt my heart and opened up to what I call the unknown. 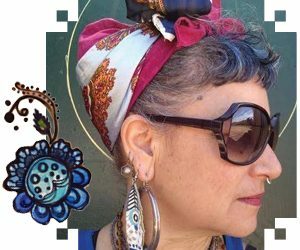 As a radical queer, Chicana and a children’s book author, artist and activist, I knew an event about diversity and children’s books would affect me very personally so I wanted to be prepared. I wanted to feel my ground, my sky, all of my directions holding me in the perfect place to learn, heal, know, understand what my purpose was for being there. 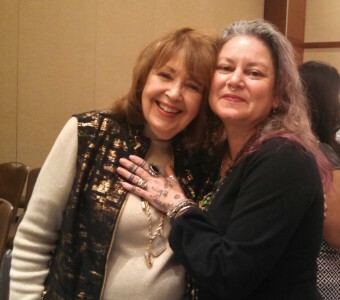 The morning of the conference, I savored the hugs, the reconnecting, the seeing who was doing what and where and how! Introductions and invitations and congratulations and just plain love. 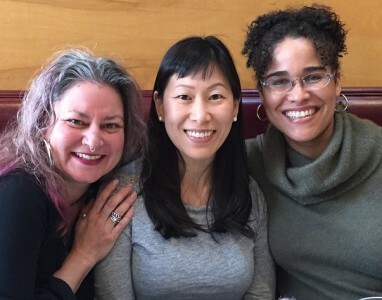 It was good to begin with these very real connections and the human touch with folks I had known for years and folks I was just beginning to work with. All of us here together. The conference began. As much as I focused on what was being said, truth be known, my heart was the real speaker. My heart made its presence and its discomfort exceedingly clear. Over the course of the day, there were three times that speakers directly affected my heart, KT Horning, Pat Mora and Satia Orange. In the moments that they spoke my heart relaxed, felt met and reflected. I was grateful for these touchstones. Perfectly placed. One in the morning, one in the afternoon and one in closing. They kept me going through the ritual of the day and the healing of my heart. It is difficult to describe the heart as it heals. What is healing and why is it necessary? In many ways I believe healing is nothing more than self-awareness and a rising clarity that leads to discernment and the ability to make conscious choices. This kind of healing is necessary because the lived ramifications of colonization, historical and current, disconnect us from the value and truth of our being and the power of our experience, the wisdom of our hearts. Decolonization is deep stuff and not part of the common conversation, the initial messages we receive from ourselves often begin without mental awareness but more as a physical feeling, an emotion, a desire, a swirling storm of thoughts. On this day, mine began as a small pressure in my chest. A spinning vibration. Over the course of the morning, the pressure expanded. I was surprised, rather naively. For some reason, I didn’t expect my body to respond so strongly. I had fooled myself into expecting I would have conscious awareness if anything, not something this deep. But by the afternoon presentation my heart was extremely uncomfortable. At one point I jumped up and left the room, finding a separate place to attend to my heart, thinking that if I had a moment alone, maybe I could listen to it long enough to mellow the discomfort. With no luck I finally retreated to the bathroom to gather myself so I could return to the main hall. But my heart had done more than pull me out to pay attention to it. By taking the time to listen, my heart guided me exactly where I needed to be, if only for a moment. 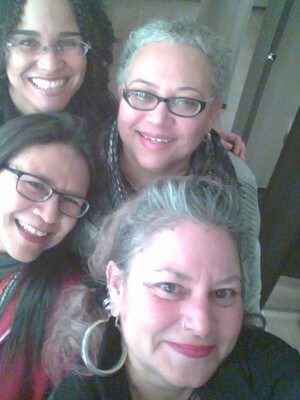 In the women’s restroom I spontaneously found myself with Zetta Elliott, Debbie Reese and Edith Campbell. We laughed a knowing comadre kind of laugh as we found ourselves together. We leaned in close to photograph our auspicious meet up. The words didn’t matter, something felt right. My heart softened. It was from here on that the ritual finally began to open up for me. Like many rituals, you journey in until you reach the core. The lesson lies there. You know you’ve reached the core when you begin to journey out. Although I wasn’t fully conscious of it yet, this was the center of the ritual for me. This moment of gathering. When I returned to the main hall, I began to draw. My energy began to flow, no longer a building pressure, a spinning vibration trapped in my chest. I could feel the power in my hands now. I drew a large round circle on my paper. Round and round. Then I drew the four directions out. Suddenly I could sense what I was feeling all along as I wrote into the center. The words poured out without thought or censor. Some words felt ancestral, some cultural, some communal. I did not judge, but kept on. As I was writing and drawing, Pat Mora came on stage and began speaking. Heartened, I wrote the essence of what she said down on my paper. I wrote that down and stared at my paper. It was as if my entire day, the entire trip for that matter had been leading me to this moment. I could feel this reverberate through my chest. Not because this was news to me. But because Pat was saying it, I did not feel so alone with it. This was a conference to inspire and incite everyone to take action toward diversity. But for some of us, who have been doing the work for a very long time, who have lived or are living the experience we’re talking about, who negotiate sometimes daily how this affects our lives, our hearts, our families, our communities, for those of us whose lives are our work and whose work is our lives… for us, who are already deep in action, it was not a call to greater action, but more a time of gathering in power. Something equally important. It was a time to be in each others presence, within each others eyes, to feel the courage that informs our bones, the resilience that keeps us standing, our longevity, and emotional honesty, as we continue purposefully in the larger ritual of a mass healing that has been underway for 200 years prior to this conference, but surely will be resolved in our lifetimes. Equity in children’s books. The ritual is closed now, but I am still aware of my heart. I know now I needed to see other radical women of color. I needed to see us follow our intuition and gather outside of the larger system. I needed to hear stories, share food, walk side by side, wonder, feel, continue. I sense that although the ritual is over, my long term lesson and connections have just begun. It is something Zetta articulated over dinner. We are each other’s medicine. You and your words make me want to dance! ja! we are gathering to dance! excellent.